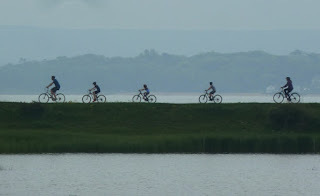 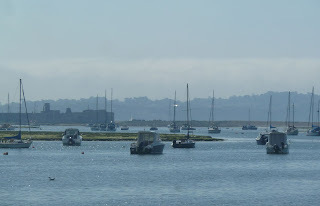 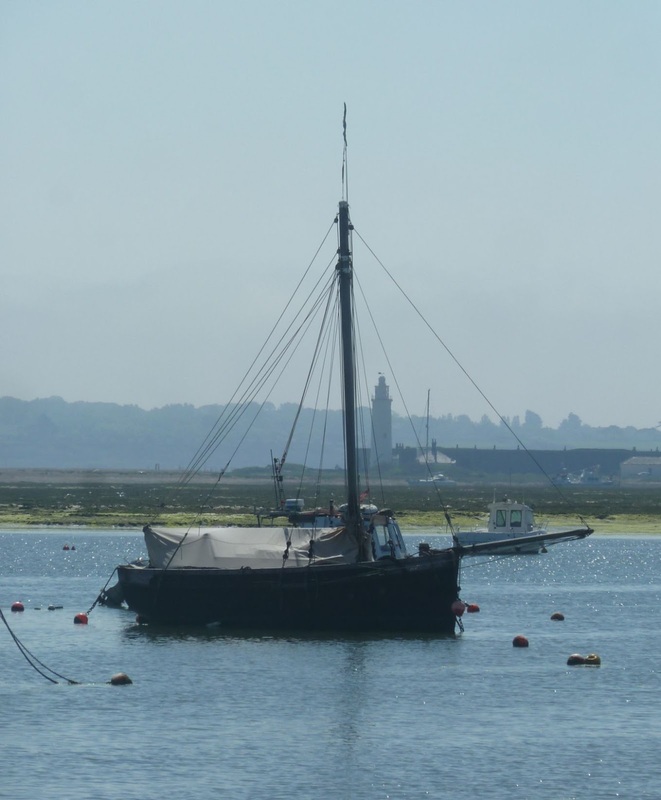 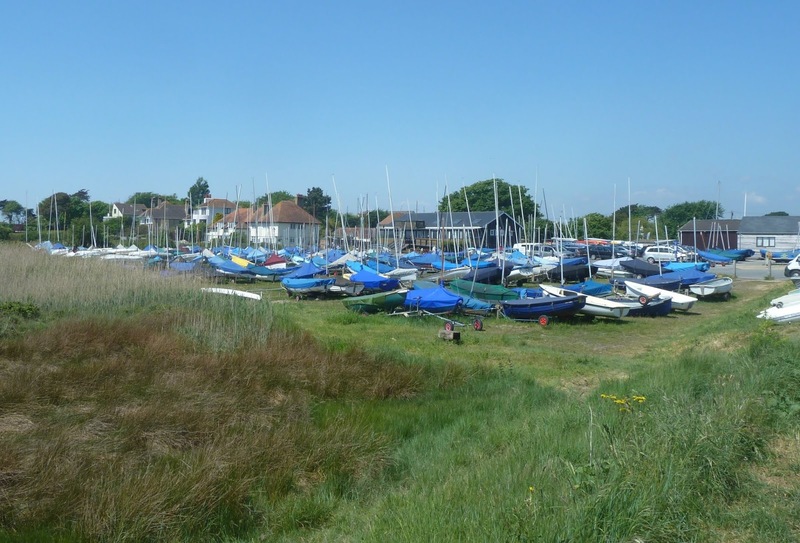 Actually there's Keyhaven Lake, Mount Lake and Hawkers's Lake which stretch from the village and out to Hurst Castle, shallow salt marsh and channels protected by the shingle spit. 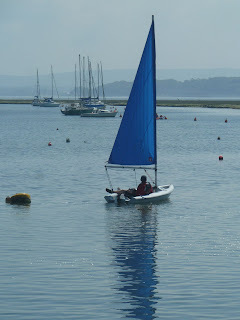 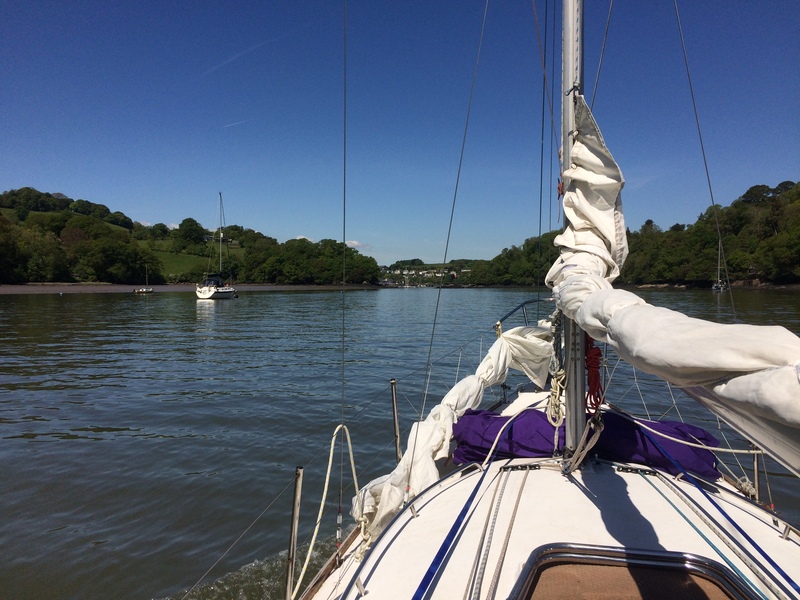 The deep channels are good for moorings and a protected place for a quite sail. 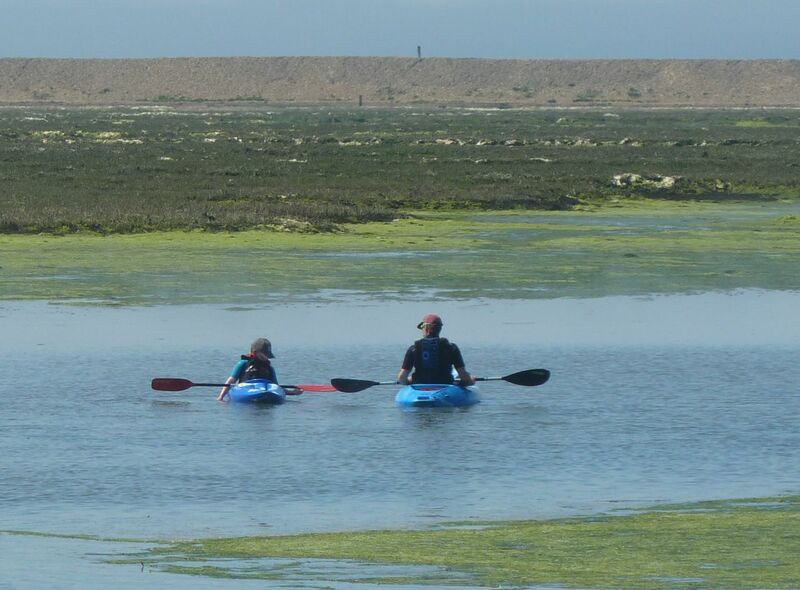 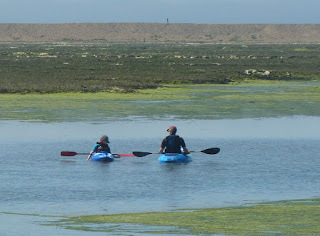 Kayaks are great for exploring the tiny channels, inaccessible by boat of foot, but only at high water. There are a few interesting boats out in the moorings. 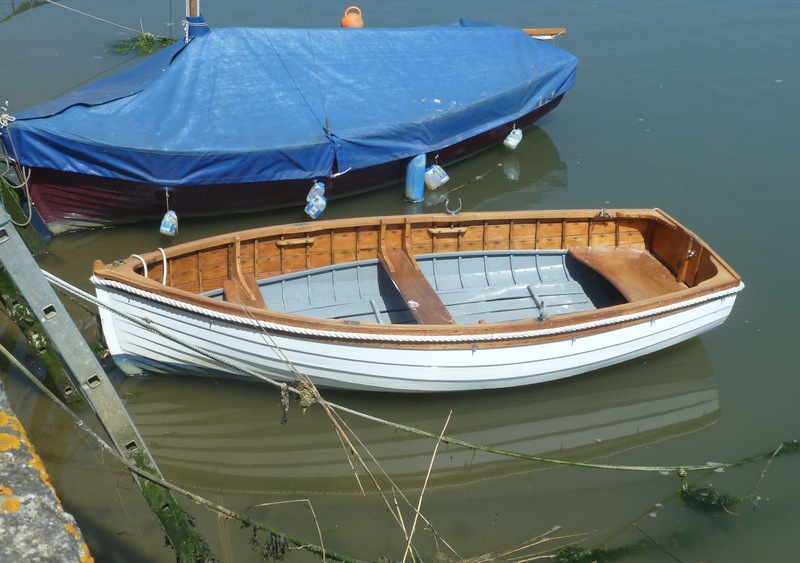 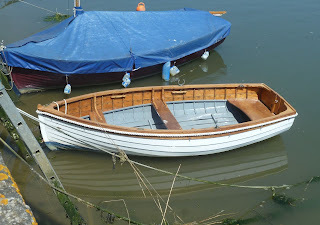 And some alongside the harbour wall, like this lovely and really well kept clinker dinghy. 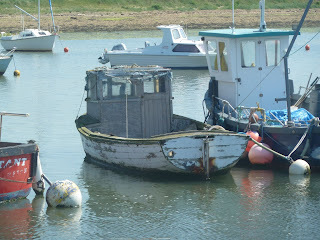 This old fishing boat is the perfect characterisation but seems to have been neglected in recent years. 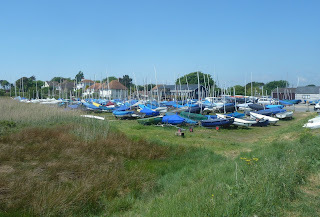 Looking back across the dinghy park to the two Sailing clubs, Keyhaven Yacht Club and Hurst Castle Sailing Club, both enjoy prime location and would be a great place to spend the weekend.